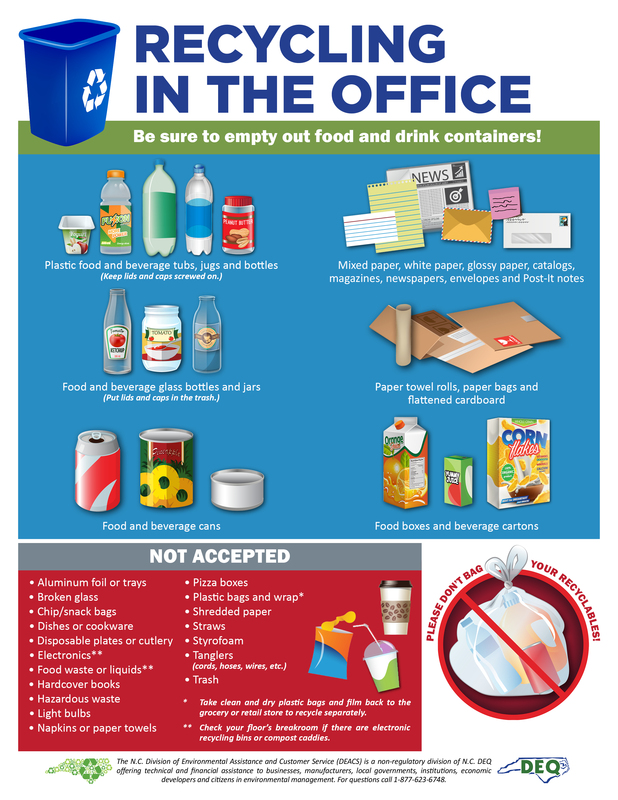 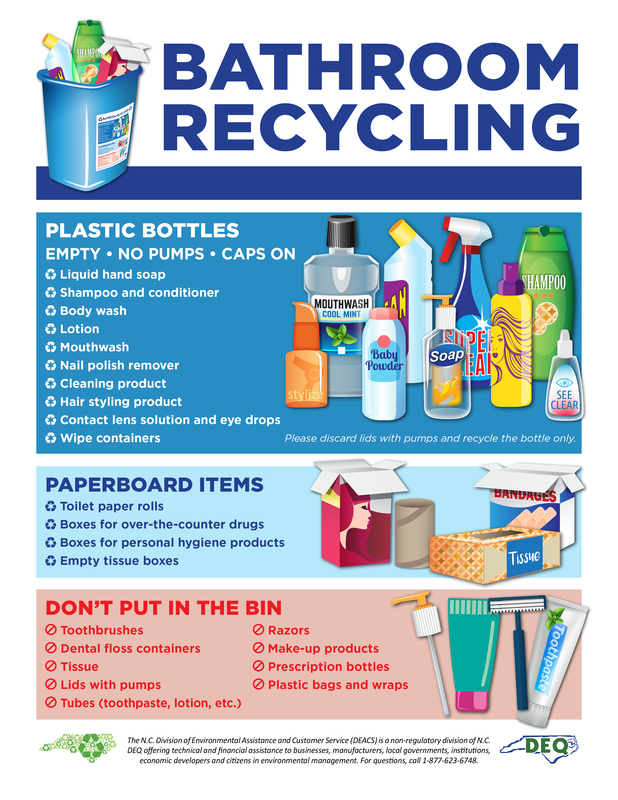 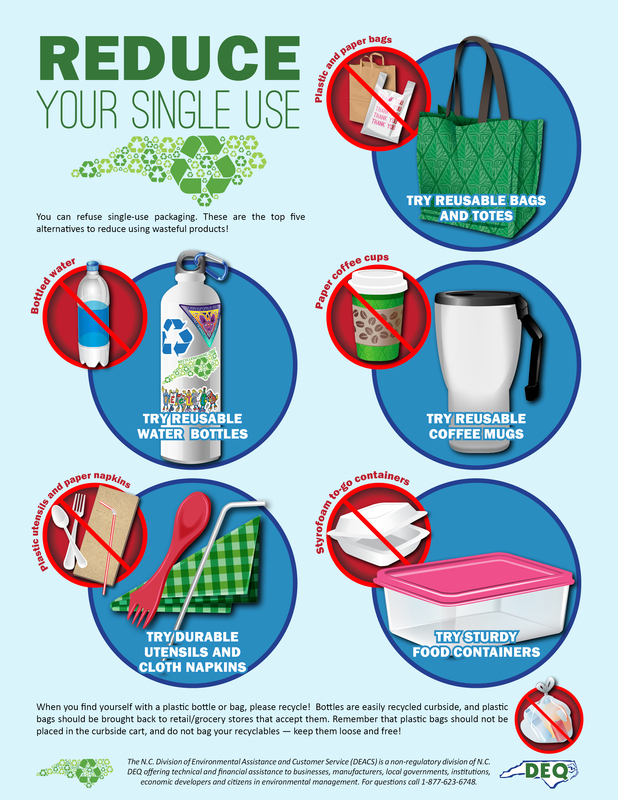 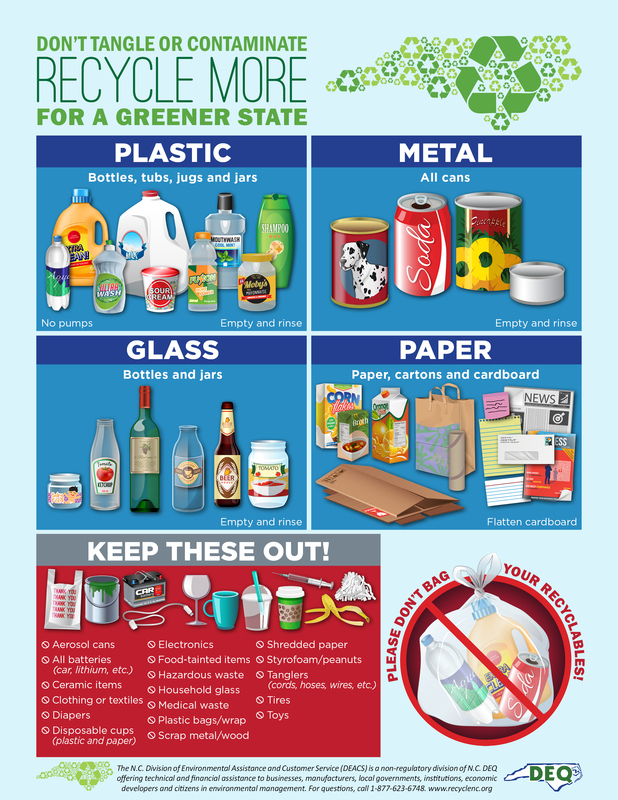 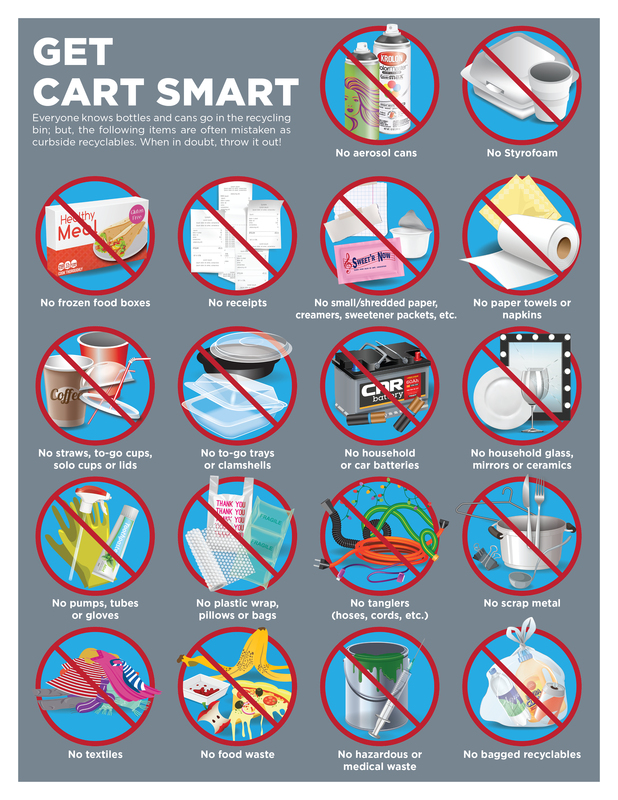 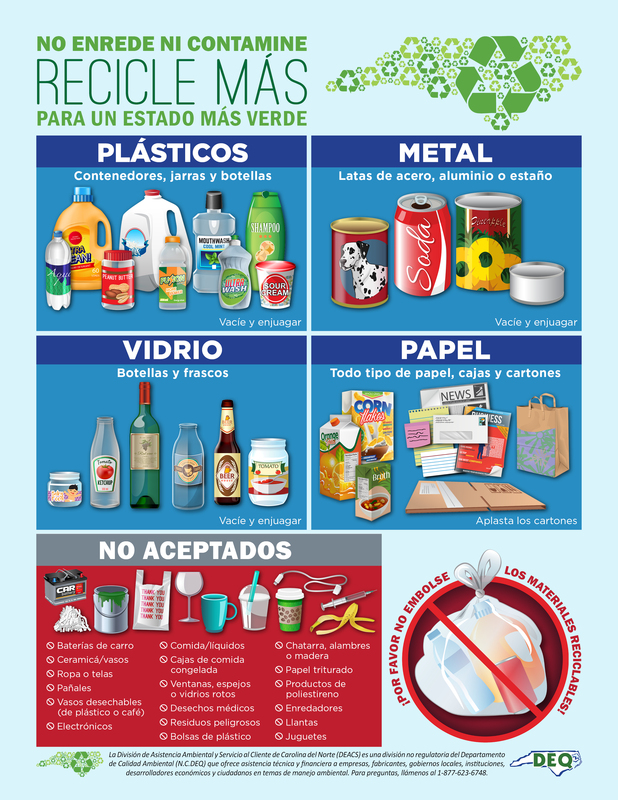 The Division of Environmental Assistance and Customer Service (DEACS) has developed recycling outreach materials. 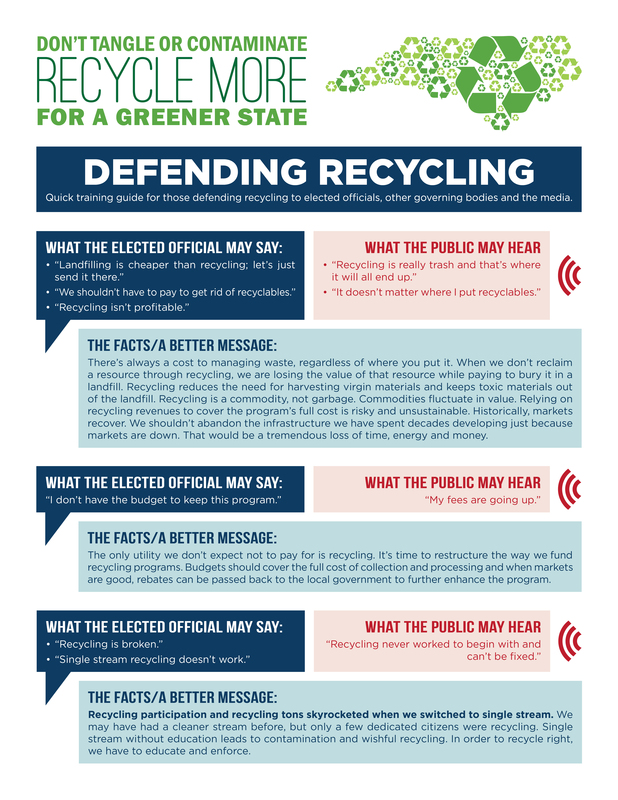 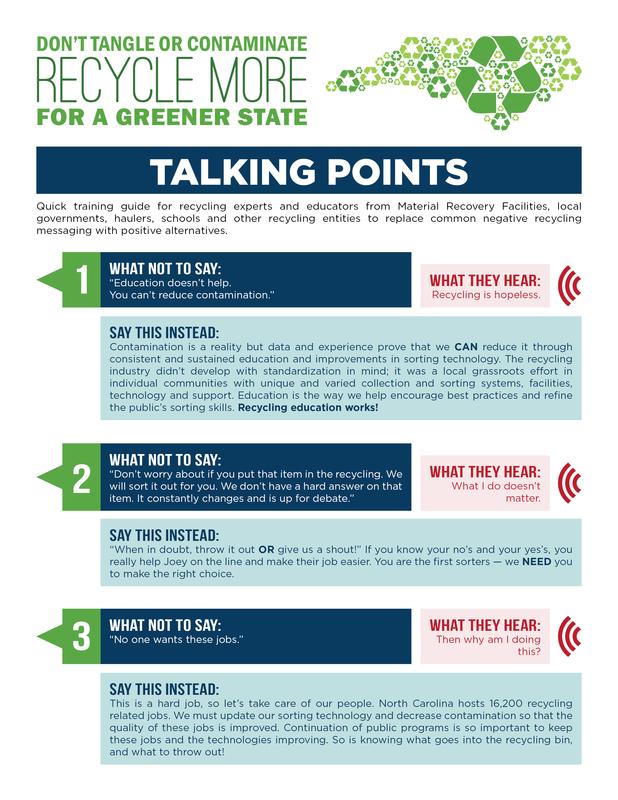 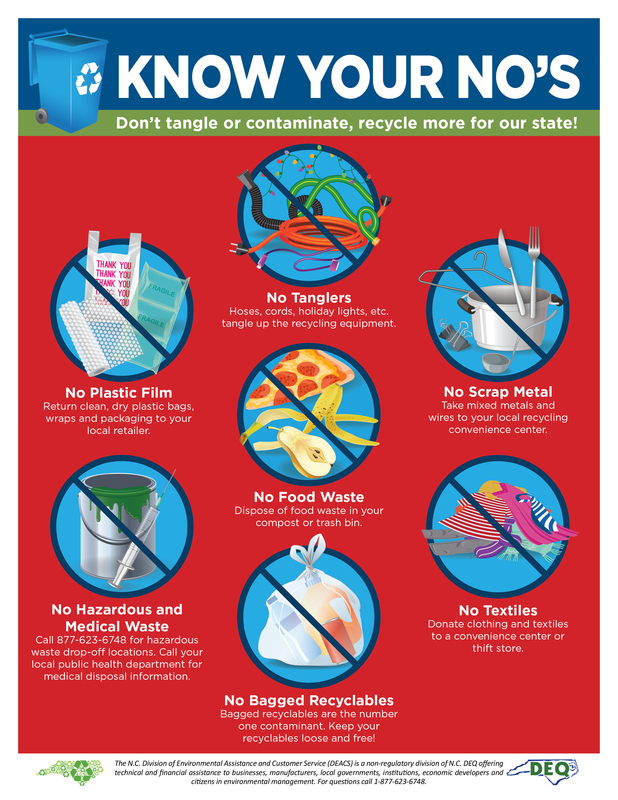 Local governments, recycling haulers and other North Carolina organizations are encouraged to use and share these resources to help educate the public and fight contamination. 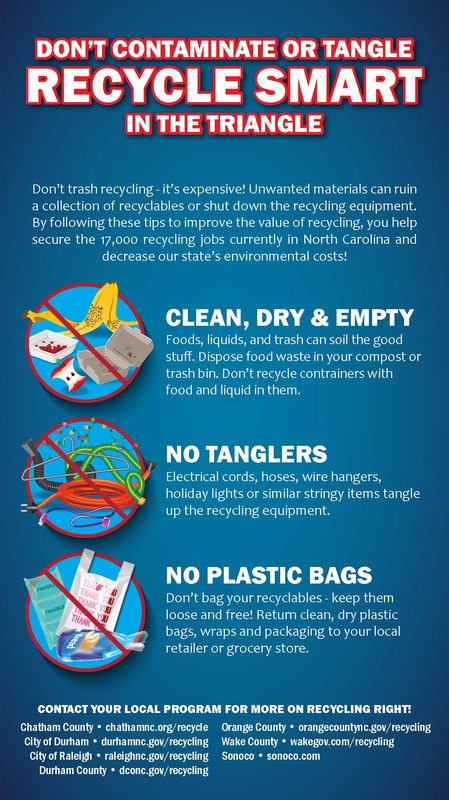 Visit the Customized Outreach Materials page to view additional materials that the DEACS staff can assist in tailoring to fit your community's recycling program.